When the announcement of the new Jo Malone Basil & Neroli Cologne was first made, I had a little laugh over it. It was about the time that I had just started my little basil growing experiment (still going strong, thank you for asking!) and I was big on everything basil. A perfume in the scent was perfect to round it all up! To appreciate Basil & Neroli Cologne, you really have to appreciate fresh, green, earthy scents. If you like the scent of cut grass, or the smell of wet leaves after the rain then you might appreciate this one. It opens up with a burst of green basil, just tempered with a spicy citrus note. On my skin, this warm honey scent, tempered by the sharp, crisp green around the edges lingers the longest. It is sweet, but not overwhelmingly so. It isn’t a gourmand scent, nor is it a floral. Neither of those sit well with me, so I was pleased to not have them on my skin. As with most Jo Malone scents, I found that I stop smelling it after a while. Yet, I feel a lingering freshness of being, that feeling of having freshly showered, with just a hint of green around the edges. 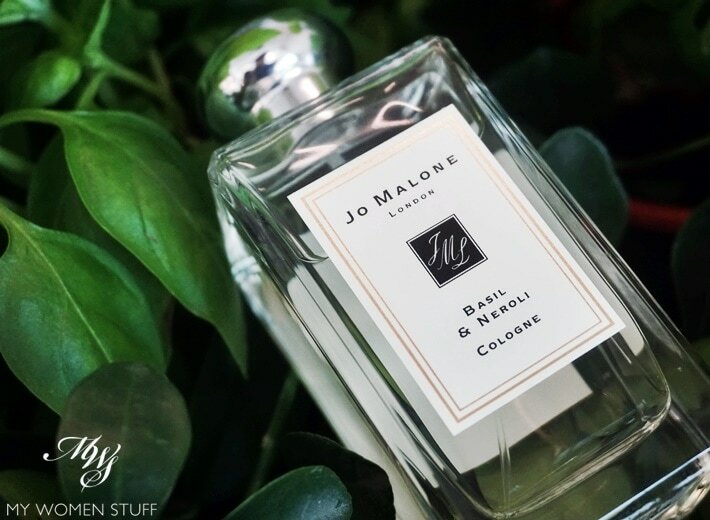 The Jo Malone Basil & Neroli Cologne brings to my mind a refreshing feel. When I spritz it on, I almost feel like I’ve had a shower. It isn’t heavy, nor musky. It smells, as I’ve said, like the smell of wet leaves after the rain. A wet freshness, grounded by the warm smell of earth. Perhaps, my version of the London Lark is in Hyde Park or one of the little parks that dot London, in autumn, taking cover under the trees as I wait out the interminable drizzle that plagues London. The sound of traffic buzzes in the background, and the rumbling of the Tube goes on in the distance. I however, am wrapped up in my little world, watching the swans in the Serpentine, breathing in the scent of wet leaves and grass, and a faint sweet scent of honey. That for me, is the Jo Malone Basil & Neroli. Have you checked out Basil & Neroli Cologne? 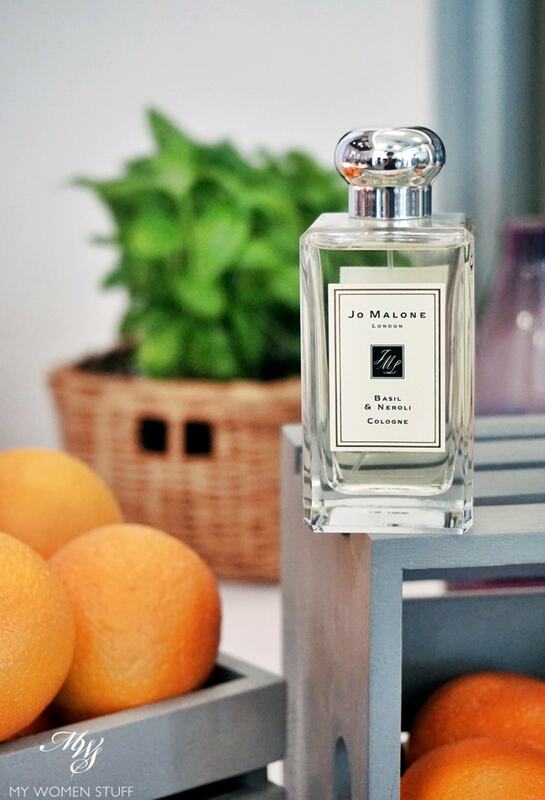 What other Jo Malone scents do you like? If you enjoy fresh scents, then this will be one you’d be interested to check out. As with all Jo Malone colognes, you can layer it with other scents to create a scent that is uniquely yours. As for me, I prefer wearing it on its own. I happen to like smelling like wet grass LOL 😀 In fact, I think I’d like this in the body wash – it’d be perfect! Disclosure: Featured product was a gift from a press launch. Our commitment is to honesty and fairness. For product review guidelines please read the disclaimer. PREVIOUS POST: The Chanel Le Rouge Collection for Fall 2016 will have you seeing red. Literally. I must get tips from you on growing basil. Your plant looks so robust and healthy! I live in a condo too and though I have got one growing now, they seem so thin and measly next to yours. I’m actually jealous… Oh, I totally get how you describe the cologne! Mine aren’t as lush – the ones in this picture were taken at the launch LOL! But they aren’t doing too badly. I find that my basil grows better in potting soil or burnt soil (you can buy them, not very expensive) and you should let them get sun, and lots of water. Also, use a fertilizer once every few months. They really grew much better after being fertilized! I propagate them often, so I have a few plants going at one go and they don’t look as measly LOL Oh, and harvest them often too so more grows more quickly. Good luck! I quite like your idea of a lark – I chose to chase the swans at the Serpentine, rather than watch them 😉 PS: Swans are not friendly! Sounds nice! How long does it last on you? Hmm, not very long to be honest. A few hours in the morning perhaps?